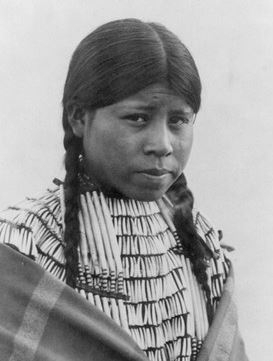 Photo of Archived Cheyenne Woman. The majority of Cheyenne people are two federally recognized groups: Southern Cheyenne, numbering over 12,000 who are enrolled in the Cheyenne and Arapaho Tribes in Oklahoma, and the Northern Cheyenne, numbering over 10,000 who are enrolled in the Northern Cheyenne Tribe of the Northern Cheyenne Indian Reservation in Montana. Many Cheyenne continue to converse with one another in the Cheyenne language even though they also may speak fluent English. Cheyenne alphabet contains 14 letters. The Cheyenne language is one of the larger Algonquian-language group. Christian missionary activity has been continuous among the Cheyenne for a century, especially the Mennonites and Catholics. Today there is a variety of religious beliefs and expressions including Christianity and the American Indian church, although Sacred Arrows (Mahuts) and the Medicine Hat (Isiwun) remain the most venerated sacred objects. Pray for the gospel to continue to spread among Cheyenne people. Pray for God to raise up Christian leaders from within the Cheyenne community to work in the harvest. Pray for Christians in the Cheyenne community to start new churches and ministries.